The brown dog tick does not usually cause pain but it can cause rashes, swelling and red bumps that can be itchy for a few days. The hard lump often takes 2-3 weeks to go away completely. In some patients, tick bites can cause Lyme disease. In this guide, we will be covering important topics related to Lyme disease prophylaxis doxycycline and amoxicillin. Lyme disease is one of the most common vector borne diseases in the United States; most infections occur in spring and summer. It is transmitted through the bite of ticks that inject spirochete in the bloodstream. The tick needs to be attached to the host for at least 24 hours to transmit infection. Immune complexes deposit in joints after the tick bite. This leads to joint aches and pains. Early localized infection could occur anytime about 7 days after the bite. Doctors will usually not prescribe antibiotics in absence of symptoms. To confirm Lyme disease, doctors often recommend the ELISA test for serum antibodies. Culture from biopsy from skin lesions can also indicate Lyme but this proves to be difficult in some cases. Early disease responds well to Lyme disease prophylaxis doxycycline. Other antibiotics for tick bites are amoxicillin and cefotaximine if the patient does not respond to doxyycline. 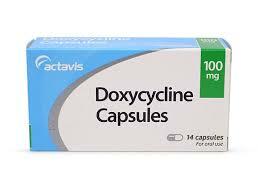 Typical dosage for Doxycycline is 100 mg twice per day. This medicine is contraindicated for pregnant and nursing mothers. It is also not recommended for children below 8 years of age. For children older than 8 years, give 4mg/kg/day in divided doses. Amoxicillin dosage for tick bite fever is 500mg three times a day. For children, the dosage is 50m/kg/day in divided doses. Cefuroxime axetil dosage is 500 mg twice a day or 30mg/kg/day in two divided doses. Most patients respond well to this medication. However, doxycycline is known to cause photosensitivity in some people so use of sunscreen is a must. Also avoid strong sunlight exposure as far as possible. To prevent acidity, headaches and nausea it is advisable to drink a tall glass of water with the medicine. Also take the drug with food. Medicines like amoxicillin and cefuroxime are associated with rashes, diarrhea and other health effects. How long does it take for doxycycline to work for Lyme disease? In most cases, doxycycline takes about a week to show results. However, many patients continue to suffer from chronic Lyme disease symptoms like joint aches, fatigue, personality changes and mood swings etc. In such cases, dietary changes and Lyme disease prophylaxis doxycycline treatment can help to an extent. However, the problem with low dose antibiotics is that the body develops tolerance to the drug and, after a while, antibiotics may not help. Promptly remove any attached ticks. In some cases, low doses of doxycycline after tick bite could help. Speak to your physician for the best possible treatment. Do check out our other articles on Lyme disease, tick bite treatment and home remedies. Lyme disease is debilitating and can greatly impact quality of life. We hope this article answers your questions about Doxycycline dosage and other questions related to antibiotics for treating Lyme disease.